Have I mentioned how I love summer? I’m not a fan of being outside or of the bugs and sunburn that follows but I do appreciate having time to do things I want to do but cannot during the school year. 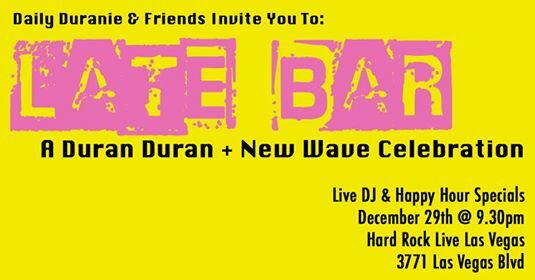 One of the things on my list was to watch New Wave: Dare to be Different, the documentary about New York’s WLIR radio station that played the heck out of new bands, including a lot of band’s that fell under the New Wave/alternative category. I didn’t grow up anywhere near New York so I didn’t get to enjoy the radio station for myself. No, I grew up near Chicago with a strange relationship to radio. When I was little, I tuned into B96, the local Top 40 station. By that point in the 1980s, Duran was already huge so they played a lot of them along with the other popular early/mid 80s artists. More alternative artists were not played, however. Then, in 1985, I moved further away from the city. This new town lacked any real radio stations to speak of. Years later, when I was in high school, I discovered that I could get some Chicago stations very late at night and some of them did, indeed, play more alternative. Once I had that lifeline, I swear my life turned around. Anyway, so I can definitely appreciate how a radio station could mean so much to people. This well-organized documentary definitely gave a history of the radio station and the context with which it was created. WLIR was born in 1959 in Long Island and changed formats a few times until in 1982, it embraced new wave/alternative. While the station chose this new direction to stand out, to avoid being lost in the shuffle, it ended up creating something more than a radio station. The documentary showed how it began a culture of sorts that affected both bands and fans until they lost their FCC license. I learned a lot by watching this documentary. One aspect of the station that earned my respect is how the station was able to introduce the New York area to a lot of amazing bands, including Duran Duran. They did this in a variety of ways, according to the documentary. First, they embraced imports from the UK. I loved that radio stations employees would go to the airport to meet the planes that carried records from London. Clearly, they recognized that the UK was the center of a lot of great, new music then. Second, they didn’t follow the usual directions from record labels, which wanted to dictate when a single should be released. Instead, WLIR played songs when they felt like it. Lastly, they also spent a lot of time just combing through cassettes listening for songs that were gems. I totally appreciate forward thinking, dedicated people willing to put the time and work into something like new music. Of course, the fact that this station was willing to play these new bands definitely helped the bands find success. On top of selling more albums, bands also began playing to bigger and better venues. One thing that the station did was have what was called, “Screamer of the Week.” The idea was that fans could vote on which song ranked as best song of the week, which led to heavy rotation. Apparently, Duran had 13! When I heard this, I had to smile. I remember that MTV used to do something similar where people could call in and vote for the favorite video. One time, I ended up calling like 25 times to ensure that Save a Prayer would win. Needless to say, my parents were less than thrilled once they received their phone bill. Oops. If I didn’t think that this station was cool enough, I loved when I found out that the fans of the station developed a culture. People’s hairstyle and clothes began to shift to more of the New Wave look. They began regularly attending clubs that played the music they were hearing on the radio. Soon enough, other radio stations followed. Clearly, the “anyone can do it”, punk attitude appealed to more than just listeners in the New York area. Beyond the great history represented in this documentary and the fabulous music that was played, I have to acknowledge that I enjoyed seeing our friend, Lori Majewski, featured as well as one Mr. Nick Rhodes. The best part of Nick’s appearance? I adored the story he told about the first time that the band landed in New York in 1981. According to Nick, they were super excited until the limo turned away from Manhattan, towards to Long Island. That said, they spent a lot of money using the vending machines in the Holiday Inn there. That is a pretty hilarious image! I wonder what those vending machines sold! The documentary created a longing for me for other entities that are willing to buck the system. This station didn’t need to follow format or expectations. The DJs played what they wanted and weren’t afraid to show what they thought and felt. For example, one DJ played I Want to be Sedated by the Ramones over and over again after Reagan won a second term as President. As the documentary ended, I felt a wave of sadness that this type of radio station seems long gone, but I also felt pure joy in just being a part of the generation that appreciated New Wave. I feel fortunate in that I was a kid in the 80s. If you have a chance to see this documentary, watch it. You don’t have to be a native to the New York/Long Island area to enjoy it. 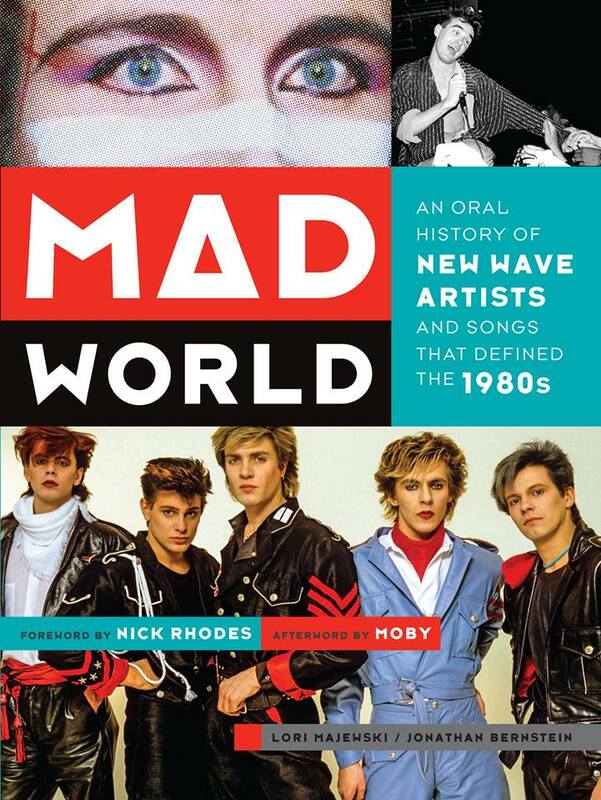 Plus, did I mention that it has great music and Nick Rhodes? Those are two great reasons, if you ask me! Amanda and I don’t use the blog to tout successes very often. 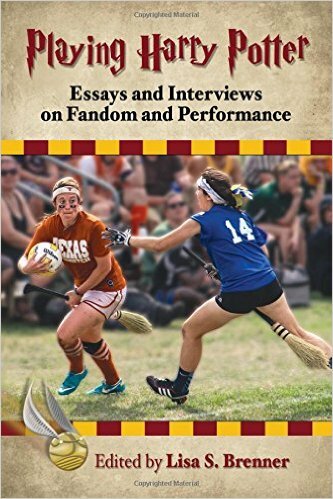 We want to write about being fans, and the blogs come from our own experiences. This post is personal, in that aspect. Not too long ago, I wrote a bit of a review for a musician from Denmark named Michael Kratz. He had released a song back in July that he worked on with Dom. I wrote about it because I am a fan of Dom’s, and kind of forgot about it. Michael contacted me a couple of weeks later to thank me, and then ask if I’d be willing to get another one of his songs early and then blog about it since this new song also featured Dom. I was overjoyed. I appreciated that Michael really asked for my help and trusted me with his music. I am not an author or a journalist. I am a fan. A blogger. Not many people take that seriously. I jumped at the opportunity, and listened to the song hundreds of times before writing. (I’ve learned my lesson well, thanks to Duran Duran and our friend Lori Majewski.) I published the blog and hoped it would be taken well. It’s kind of weird to admit that as a woman in my 40’s, I own a fan blog. Part hobby, part “full-time job that I wish were a paying one”, Amanda and I have operated the blog for seven years now. My own big dream was to have this blog lead to something that I could make into a career. I had no idea how, or what – which has always been my problem – so it is no surprise that Daily Duranie is still very much my “volunteer work”. We pay to host this site, which isn’t super cheap. We travel on our own dime, pay to go to shows, and all that stuff. I spend a lot of time working on this site. In fact, even right now I should be working on “homeschool” with my youngest, but instead I’m writing and we’ll do school a bit later today than normal. As for money, I don’t want to think about how much we spend right now, because I will truly have a panic attack, so I won’t. Yes, we pay to write about Duran Duran. Does that make us a joke? To some, probably. I’m pretty unsure of myself on even the best of days. My self-confidence isn’t the greatest. Lately I’ve been battling a case of the insecurities. I read things, and then have a really hard time letting go. I’ve gotten better about it, but I still have a long way to go. Additionally, I have a very hard time seeing and admitting to myself the good things the blog has done. It’s easier to see and believe the bad things I read and hear about the blog, and even myself as a person, I guess. Today though, I received a message that really made a difference. It turns out that Michael was offered record deals in two countries, and in both cases the label mentioned MY article specifically. The best part is that he wanted me to know, so he messaged me today. I’m still beaming, because it feels good to see wonderful things happen to genuinely hard-working people. I’m sure the blog played no more than the tiniest part in his record deals, but the fact that he wanted me to know warms my heart in a way I really needed. I know that most people don’t really care about a fan site. Hell, we have a hard time getting anyone—even most of the band’s backing players, to take us seriously enough to even fill out a Q&A so that we can in turn promote them and their own careers—so I get it. By the same token, it is not just fans that read and follow Daily Duranie. We have music producers, other bands, news magazines, radio and TV show hosts, authors, and even record labels following and reading, and I’m proud of that. Today though, I am so pleased to know that a genuinely kind and incredibly talented person I met as a result of this very blog is in the middle of making his own dreams come true. Michael thanked me for writing, but the truth is, I need to thank him for taking me seriously and trusting me with the product of his own blood, sweat, and tears. That, my friends, is anything but a joke. How Important is the Rock and Roll Hall of Fame Anyway? As I read through this year’s list of nominees, this question swirled in my head. Sure, Chic is on the list. Again. For the 11th time, they appear on the list. Then there’s Depeche Mode, Yes, Janet Jackson, The Cars…..Tupac Shakur, Pearl Jam, Chaka Khan, ELO (Electric Light Orchestra), Journey, The Zombies, Bad Brains, J. Geils Band, Joan Baez, Kraftwerk, MC5, Joe Tex, and Steppenwolf. I think I’ve gotten them all. It seems like every single year I write something about the Hall of Fame. Quite frankly, I detest it. I dislike it to the point where it really isn’t worth my time—yet here I am, writing about it again. It seems to me that the Rock and Roll Hall of Fame is the one accolade everyone loves to hate. The process, in my mind, is absurd. The nominating committee of the RRHOF Foundation gets together and comes up with a list of nominees. The list is publicized, and then some 600-historians and members of the music industry vote upon the all-powerful although in the past few years (since 2012) they’ve bestowed that same glorious right to vote upon the public, so our collective opinion is also taken into account. The top five vote- getters are then inducted. First of all, the nominees, or at least a reasonable percentage of them—are questionable. I could sit and name names, but the reality is, those that I may find odd are the same bands and artists that someone else probably sees as shoe-ins. So, I’m just going to leave it that I find a lot of the nominees to be questionable, and the inductees typically make me roll my eyes. Secondly, Chic has been nominated ELEVEN DAMN TIMES. Come on now. That alone tells me something is screwy about the process. Yes, Chic is disco. Yes, Americans (in particular) have forgotten just how much disco-elements we use in our music even today. Even so, eleven times? Unbelievable. Thirdly, I’d argue that outside of the US, the Rock and Roll Hall of Fame means nothing. Just yesterday, one of my friends commented that they never hear about the RRHOF, and they live in the UK. I have no doubt that’s true. Many (including myself) say that the heart of the music industry is here in America, which is probably why the Hall of Fame works here – but the rest of the world doesn’t care. I can’t blame them, because really, is the Rock and Roll Hall of Fame that important anyway? I doubt it. Each year when Nile, as the sole surviving member of Chic is nominated, he graciously tweets something about being happy to be on that list, but he also mentions how many times he’s been on it. In my head, it’s becoming a terrible joke. What makes him any less deserving than Green Day—a band that has been around for a fraction of the time—but was inducted in 2015, the very FIRST year they were even eligible? Absolutely nothing but votes. Who votes? Who decides? The RRHOF description of their voters is remarkably vague. “some 600 historians and members of the music industry, including those who have previously been inducted.” Then there’s the public, of course. Fans are going to vote for their favorites regardless of whether they’re the most deserving. In the same way I voted umpteen times for Duran Duran to win the MTV EMA this year or “Best World Stage” without watching the other nominees to see if their performance really was the best, fans are going to get out the vote for their favorite, and I can’t blame them. But, that does not equate (in my mind) to being deserving of the Rock and Roll Hall of Fame. Ultimately what the Rock and Roll Hall of Fame comes down to is a glorified popularity contest. The only people I ever see commenting on its importance are those who make a living commenting on such things (the aforementioned music historians), those who have been inducted, or perhaps fans. As many Duranies mention, in any interview where the band has been asked, they carefully word their answer about the Rock and Roll Hall of Fame. The band recognizes that the process is entirely political and not at all indicative of any success the band may have had, their continued relevance, or inspiration they may have given to other bands along the way. It is difficult for me to argue the Rock and Roll Hall of Fame in any other light, because I too, see the nominating process and the joke it has become. Each year I read the list of names, and while of course, there are several on there that should and deserve to be there, there are just as many that I seriously question. Even bands I adore, like Depeche Mode or The Cars, I really have to wonder about. What makes them any more deserving? Most awards come down to popularity. I’m well-aware that the MTV EMA’s are also awarded based on vote. Is it any different? In some respects, yes I think it is. The EMA’s are not trying to decide the most important acts of our time based on the previous twenty-five years (or more) of work. They reflect a single year, and in many aspects they reflect a single song and how it was received by the public. Ultimately, this post isn’t going to convince anyone of anything. It’s simply a conversation starter in the same way that morning talk shows might spark discussion. 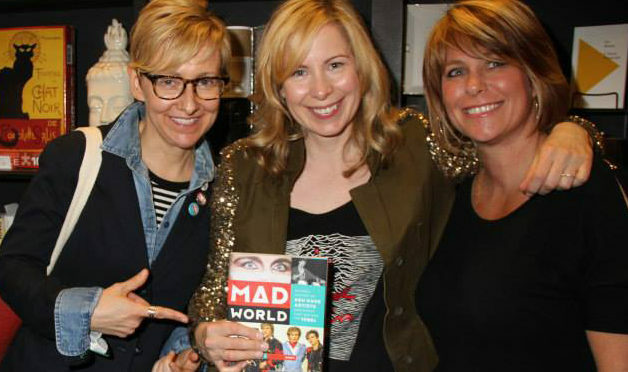 Speaking of which, in case you haven’t heard, Lori Majewski (author of Mad World and fellow Duranie who once was the editor of her own fanzine named Too Much Information: the Definitive Duranzine ) along with co-host Nik Carter have their own brand new music talk show called Feedback on Sirius Channel VOLUME. It airs 7-10 AM EST live in all time zones and then repeats as soon as it ends, and is also available on demand. We wish Lori the very best! So here it is, our final video blog of the 2016 Paper Gods tour. If we had to sum up the tour in a single sentence (or title), we’d say that touring is not a sprint, it is a marathon! We tried to cover and condense all of our thoughts into a single video. At just over a half-hour, we’re recommending food and beverage before viewing. You’re welcome. We have so many feelings and thoughts about this tour, it was hard to know where to begin. As the exhaustion becomes readily apparent, the emotion also flows easily through our words. We love this band, and to quote Lori Majewski – we love them so much it hurts. While neither of us are emotionally ready for this to end, we know that it must. So, I will drive Amanda to the airport today, and then spend a couple of weeks camping with my family (I have a few guest blogs to share with you in my absence). I hope that those of you who still have shows left will thoroughly enjoy them. I know that I did. Life is so weird. I really believed that this trip would be my last for Duran Duran. I also think that’s where I went wrong in my thinking. After all, the trips aren’t just about the band. They’re about seeing many of you along the way. I spent a lot of time on this tour laughing, talking and just being thankful that my life crossed paths with so many of you in the process. For me, touring is my happy place. It is not only my escape, but it is my bliss, and I don’t know why I would want to ever stop doing that unless I had no other choice. So, I’m off to drop Amanda at the airport and resume regular life. I’m amazed at just how quickly things pile up around here when I’m not around to do chores, so I’ll be doing much of that along with packing up so that we can get out of here early Saturday morning. I’ll be taking a lot of you along with me though, in my memories of what has got to be the best July I’ve ever experienced. Love to you all. I woke up this morning feeling like I’d been run over. I couldn’t figure it out because I went to bed at a reasonable time and slept very well – which is unlike me. Usually I wake up several times, but not last night. I hurried to get dressed, because I was also late…and rushed to get the youngest ready for the day and out the door. At some point before leaving, I looked at my phone and felt that feeling of dread come over me when I saw my news feed still commanded by post after post in tribute to David Bowie. That familiar sinking feeling returned as I saw so many of my friends clearly in pain and mourning. My heart nearly broke as I read posts from dear friends as well as from people such as Martin Gore (Depeche Mode), Michael Stipe (REM) on Facebook, and even Conan O’Brien, covered on the Huffington Post. Dealing with the loss of a legendary artist like Bowie is tough enough – he really WAS The Beatles of the 80s (as my favorite New Wave experts Lori Majewski and Jonathan Bernstein wrote in their Yahoo! Music article today), but seeing people you love, admire and care about grieve is a different thing entirely. David Bowie is everywhere today. He’s all over the iTunes music charts, thanks to an-ever familiar surge in “after death” sales that nearly always occurs – and this is nothing to be sad about. I’ve seen a few lament over the fact that it’s taken death for people to buy his art. I say, as an arts appraiser – that this is the market. I wouldn’t look at it as being sad. It’s a silver lining. David’s music will live on. His music, his image, his ability to reinvent himself over and over again and never rest on his laurels, will continue to inspire for many generations to come. That, my friends, is a gift. Be sad that a man died. Be sad that there is no real cure for cancer, or that his wife and children will be grieving long after you and I get on with our lives, but don’t be sad that David Bowie’s music is being discovered by people who may not have paid attention previously – myself included. Last night my husband and I went through our vinyl collection and pulled out some Bowie albums we haven’t listened to in years. Yesterday, I bought Blackstar. Sure, I’d planned to buy it anyway – but hearing he’d died reminded me to get it. So I did. Today, I’m listening to a greatest hits playlist on Spotify, with songs on it that I’d nearly forgotten about. (As an aside, I’m finding that I listened to FAR more Bowie over the years than I ever realized as I go through his collection….) None of that is bad, in fact, I applaud it. Still others scoff, saying that today’s generation of music makers won’t be listening to Bowie – they listen to the radio, filled with monstrosity like rap and auto-tuned “fast food” varieties of music that continue to be churned from labels. Artists like that won’t be influenced by true artists like Bowie, and kids who listen to those types of artists obviously won’t be influenced either. I disagree completely. I might not be able to hear it, and I might not be able to see it – but that doesn’t mean the influence doesn’t exist. Just yesterday I’d read a quote from Kanye West of all people, saying that he owes Bowie for much of his musical inspiration. Kanye is about as far out of my musical realm as it gets, to be fair, but I can’t help but applaud the example. After all, who is to say that some 8-year little girl old didn’t, for example, hear “Lazarus” yesterday when her mom was writing a blog and say “Wow Mom, I love his voice.” and then try to copy the sound herself? Or maybe she saw the video for “Blackstar” and then asked to see “Space Oddity” and marveled over the way he looked and sounded? We just don’t know where the influence will come from, or how it might affect future artists. As cynical as I can be about music, the industry and even art in general at times, I refuse to believe Bowie’s influence won’t continue in some fashion. I think we get ourselves into trouble when we start convincing ourselves that inspiration doesn’t flow from generation to generation, and that nothing from our own era has come through because it was simply just “too good”, and music has gone straight downhill from there. That’s one slippery slope. There’s no arguing the fact that music will never be the same. When you lose a family member, there’s no replacing them in the same exact way. For us, the children of the 80’s, the music lovers, the fans…Bowie was family, whether he was extended family or the head of our musical “household”. Even so, music will go on. Life goes on. The permanence remains. That’s when it hits me: I must be grieving. That feeling of exhaustion and pain is one I’m familiar with, although I didn’t honestly expect to feel that way from something like this. You see, David Bowie was never a favorite of mine in the way that he was for some of you – and I really do feel for each of you in a way I really can’t put into words. I am so sorry. Grief has a horribly ironically funny way of sneaking up when you least expect. A friend suggested I listen to his music, certain that I will find something within to touch me – and I have. His hand, whether by physical touch or inspiration, was involved in nearly everything I love in life. The grief, sorrow and loss of my friends, my heroes, and the people I love is also my own.